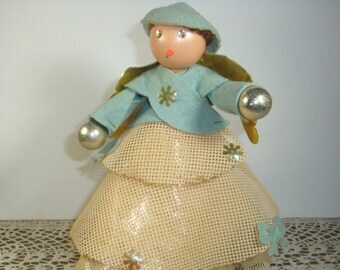 Very nice Christmas bells to upcycle for your holiday decorations. It has 3 white plastic bells attached to a green leaf and bottle brush stems with tiny balls. 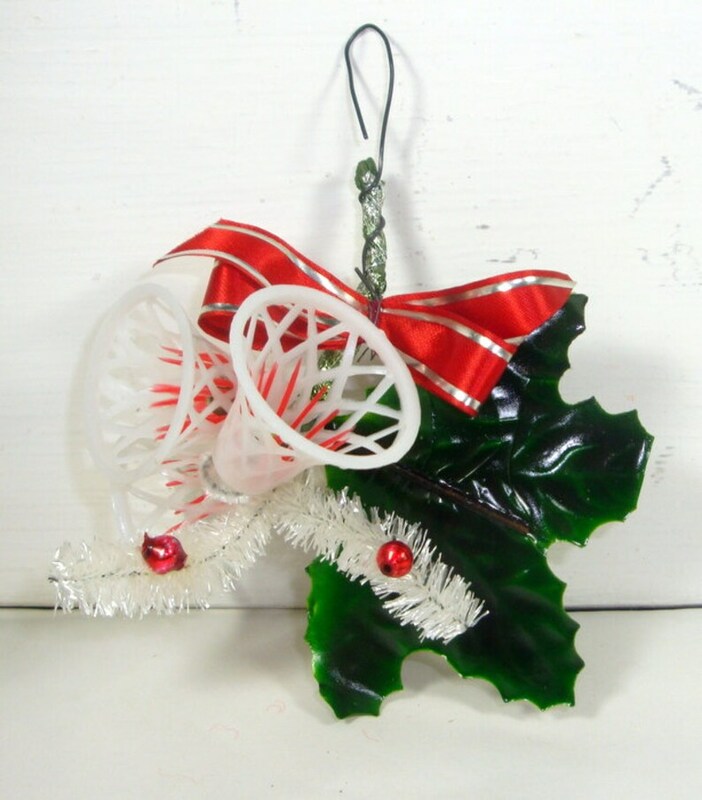 It has a loop on the end that you can use to hang on your Christmas tree, wreath or garland. You can also use this as a gift decoration. Measures 5" from top of leaf to bottom of wire loop. One tip of the leaf is broken off, best viewed in the last photo. Another tip is broken but still attached. You can always replace the leaf if you like. Questions? Please ask! your idea of acceptable vintage condition and mine may differ. Being sold as is and priced accordingly. Perfect to upcycle into your holiday crafting projects. Please view the photos provided. Return to VintageTinsel and thank you for looking!